Widespread wildfires in western North America this year, last year, and indeed this past decade, demonstrate the real-time impacts of climate change. Unprecedented wildfires are also the result of decades of well-intentioned but counterproductive forest management and planning policies. Private forest owners now find themselves managing for increasing levels of risk. In this talk I explain how climate change impacts private forest owners in the West. My research asks how can private forest owners adapt to climate change, and how are they adapting now? In rural eastern Oregon, intentional climate change adaptation among forest owners is uncommon, though many individuals are adapting unintentionally. Forest management decisions are influenced by individual perceptions of risk, as well as local economic, social and regulatory factors, including regional wood product markets. Opportunities for enhancing the adaptive capacity of private forest owners include more resources for formal forest management planning, place-based education, and cooperative approaches among landowners. As forest management policies evolve at state and federal levels, management decisions on public lands will inevitably impact adaptive capacity on private lands. 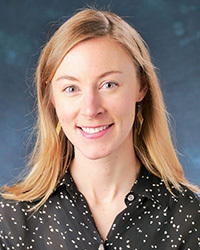 Angela Boag is a PhD student at the University of Colorado Boulder investigating the relationships between private forest management and the changing environment in eastern Oregon. She has a background in botany and also worked for community-based non-profit organizations before returning to graduate school. Now a member of the Community and Forests in Oregon (CAFOR) research project, Angela's research focuses two questions: 1) What types of environmental change do forest owners perceive, and how do these perceptions influence forest management decisions? and 2) What adaptive actions are needed to promote sustainable relationships between people and forests as climate and forest disturbance patterns change?